Star Wars and associated character, planet, vehicle, and creature names are registered trademarks of Lucasfilm Ltd, which does not sponsor, authorise, or endorse this site. This is a fan-produced parody site. 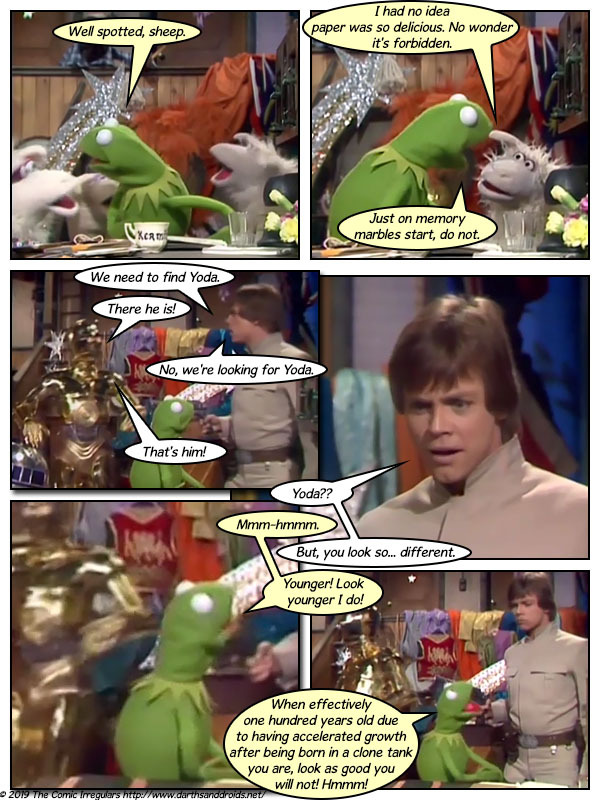 Original film images are copyright Lucasfilm Ltd, and are used here only as a vehicle for parody. The comic images may not be redistributed or sold.